The cycling cap is a timeless marker of the true believer. To celebrate the casquette (our inspirational namesake), we choose seven standout cycling caps to keep you looking super-fierce this summer. Tic, Tic, Tic, Tic–BOOOM. We love this design from East Anglian kit-makers, This is Cambridge. Fresh enough to win style points this summer, but techy enough for some seriously tough rides. Oh, and it’s made with 100% brushed cottony goodness. Mix things up with this rakish design from Podia, featuring an exuberant mashup of colours and patterns. Apparently it was designed by Marco Ammannati who – even if you don’t know who he is – has a really fun name to say. The cap also has a moisture-wicking band around the brow, making it a top choice for summer cycling. Never, ever let anyone tell you there’s no such thing as unicorns – this cap’s got loads of ‘em. Paria describe the artwork as a “Screen Printed Rainbow Poop design”, so that’s pretty much the first and only time you’ll see those words written in that order. 100% cotton. We love illustration on cycling kit and we love those hip kids down at London cycle cafe, Look Mum No Hands!, which means we double-love this collab cap exploded from the mind of Bob Mowtown. Bob has a bit of a thing for cats, so he made this casquette into one munching a pizza – complete with two different illos on the top and bottom of the brim. 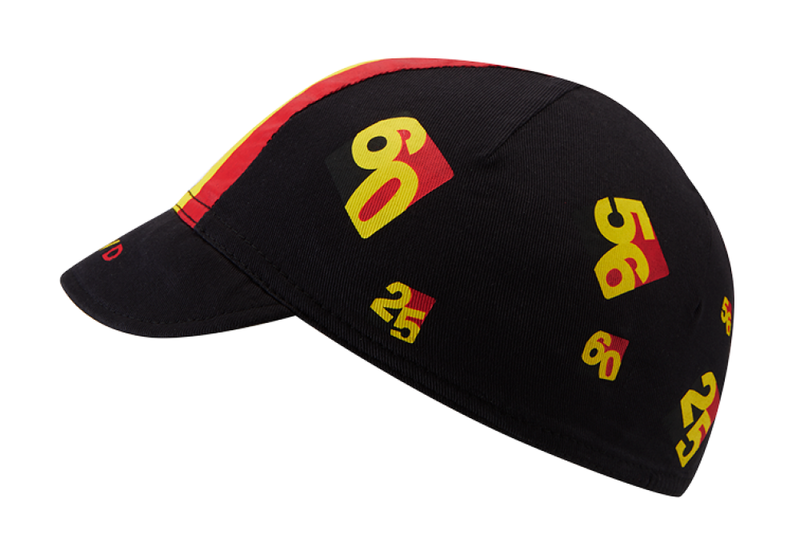 Get some Flandrian flavour with this Belgian-themed bonce-cover from our appropriately monikered mates at Chapeau. The tri-coloured central strip displays the unmistakeable flag of the home of classics cycling, while the back detail pays homage to son of Flanders, Leon Vandaele, by commemorating the year of his most famous victory. 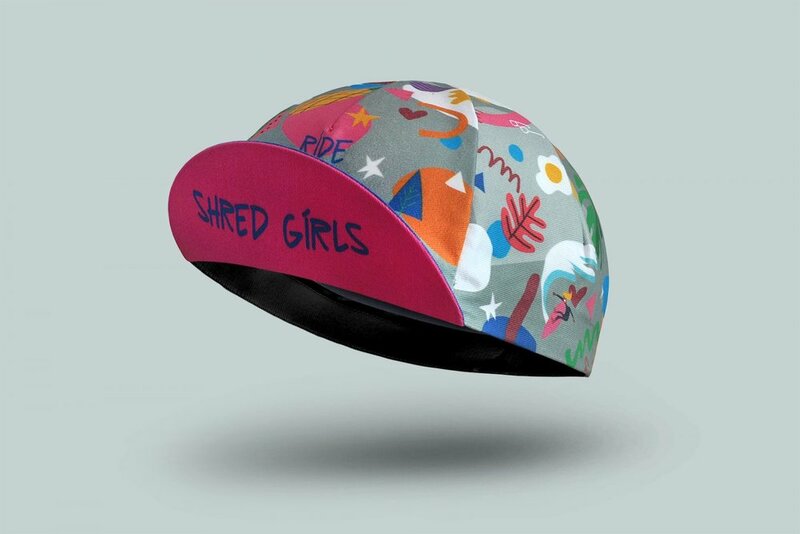 Join the ‘Shred Girls’ movement as a rider or supporter by showing off this limited edition design from illustrator, Pip Claffey. Claffey’s gorgeous, playful illustrative style and Bello’s knack for making decent, hardwearing and comfortable caps make this the perfect combo of style and substance. This is a new design by Italian designer, Lida Ziruffo, for the Cinelli Art Program, a series of limited edition products created by the legendary Winged C in collaboration with arty types from around the world. Now, your only problem is finding a jersey to wear with it.